Ok, time for all the holier-than-thou members of Congress and news media to shut up about Saudi Arabia. Washington Post columnist Jamal Khashoggi was a supporter of the Muslim Brotherhood, a recognized terrorist organization. While his death was obviously gruesome and certainly mishandled by the Saudis, it’s time to bring all the pontificating and moral indignation going on among politicians and news organizations to an end. The interests of the United States trumps – no pun intended – the desire to throw stones from inside a glass house. If one wants to question what other nations do in what they believe to be their own national interest maybe we need to consider our own actions over the years. I can assure you the Saudis and other countries are quite aware of what the word “hypocrite” means. A few years ago we snuck into a sovereign nation and put a bullet right between the eyes of Osama bin Laden because we considered him to be an enemy of the United States. And we shot up a few other people and threatened to shoot quite a few more – including the innocent citizens of the sovereign nation whose borders we violated, while we were there trying to get America’s most wanted terrorist. But he and his followers were our enemies so we felt justified in what we did! I could go on and on and on, the list of actions that we’ve taken in what we believed to be our national interests over the years is quite extensive. We always believed we held the moral high ground. Hell, we invaded and went to war in Iraq and Afghanistan against extremists like the Muslim Brotherhood. And we killed a lot of people in those countries because we believed it to be in our national interests. I could care less if Khashoggi was a ‘journalist’. More than that he was an advocate for the Muslim Brotherhood. A group that Al Qaeda founders Osama bin Laden and Ayman al-Zawahiri, as well as ISIS leader Abu Bakr al Baghdadi all once belonged to. We got one, the other two still have a price on their heads placed there by the United States, just waiting to be collected. If the Saudis viewed Khashoggi and the Muslim Brotherhood as a threat to the reforms and the direction that the Crown Prince was trying to take the kingdom, and they deemed it necessary to ‘eliminate’ him, who are we of all people – considering our own history – to object to the national security decisions of another sovereign nation! It’s time to just let this Saudi scandal fade away. Perhaps ‘back channel’ a message to them letting them know we don’t like what happened, and suggest they show better judgment and restraint in the future. Which I’m sure has already been done. And then we need to tell our politicians to shut the hell up about it! It’s done and over, the Saudis have been severely chastised around the world. 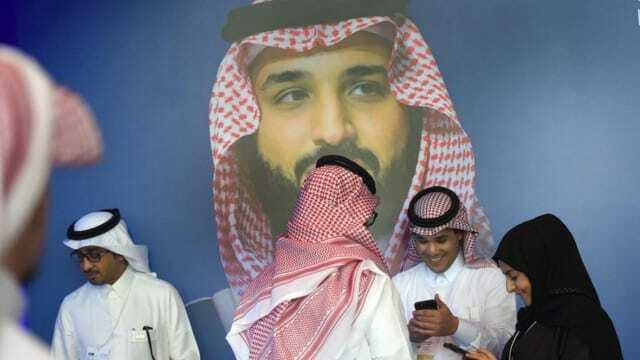 Even within the Kingdom I’m betting the Crown Prince has found his position weakened. With all of the international outrage it’s curious that the rest of the world isn’t willing to cut their economic ties or financial arrangements and deals with the Saudis over this situation. Why? Because it’s not in their national interests. The other consideration is the Turks, Qatar, and Iran, who all certainly have a vested interest in seeing the Saudi regime harmed. The Turks and Qatar are intense Gulf rivals of the Saudis and supporters themselves of the Muslim Brotherhood, and Iran and Saudi Arabia are involved in a proxy war in Yemen over Iranian incursions into the Gulf Region. Those three nations are more than willing to keep the fires of criticism stoked against the Saudis. Including planting ‘fake news’ to further their efforts. President Trump is right in standing firm with the Saudis. Our national interests are clear, and standing with Saudi Arabia is in our national interest. Regardless of what the holier-than-thou might claim.